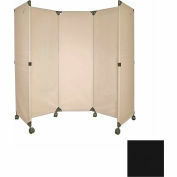 The Room Divider 360® is a high-quality folding portable partition that helps you maximize the use of your facility's space. 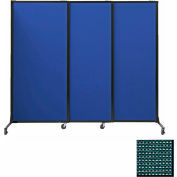 The Room Divider 360® features a fully tackable, noise-reducing surface for posting signage or other documents. 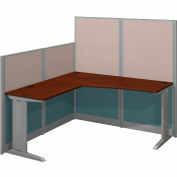 The fiberglass panel construction offers enhanced, superior acoustics. Each Room Divider panel rotates 360° for infinite configuration possibilities using a patented 360 degree hinge. 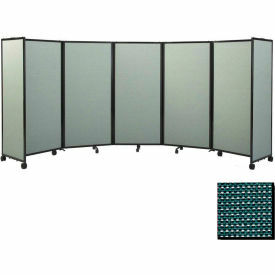 Unlike piano hinges used by other folding partitions, The Room Divider 360® hinge allows each panel to turn any direction, at any angle. 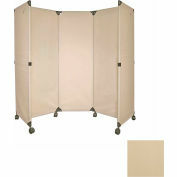 The patented no-pinch seams between each panel also reduce the possibility of fingers getting pinched. 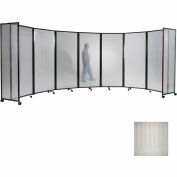 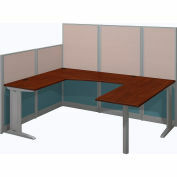 The Room Divider 360 is a popular portable wall solution for offices, boardrooms, meeting rooms, and much more.